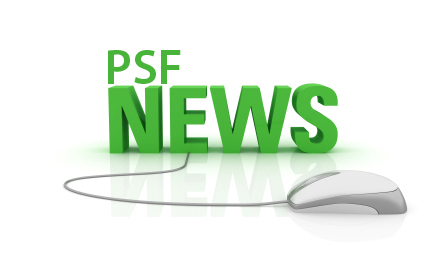 Pakistan Science Foundation-PSF, being the apex body of science promotion and popularization in the country is continuously striving for promotion of science in the youth and motivating them towards Science Education. Keeping in view, the capacity building and grooming of young minds towards science, PSF has initiated awards for students on production of best scientific working model at secondary school level across the country. This award will inspire young scientists to innovate and create novel ideas in science. The production of scientific models at an early age will also help in human resource development and strengthening of scientific and R&D culture at grass root level. Competition will be held in Islamabad where registered students will showcased their efforts in the form of models. Interested schools and students, studying in class 6th to 10th having age between 12-16 years may register themselves for participation in the competition on PSF website www.psf.gov.pk. The theme for this year is “Global Warming and Climate Change”. The competition will be held in the mid of May, 2017. Exhibits displaying theme related projects will be judged by well-known scientists, educationists and experts from theme related field. School officials are urged to screen the projects of their students to ensure that the best projects are entered in the competition by correctly filling out online registration form. Students may enter only one exhibit/model as an individual or as a member of a two person group. All the models must be developed by the concerned students themselves. Group projects may consist of a maximum of two students. The final work should reflect the coordinated efforts of both team members and will be evaluated using the same rules and judging criteria as individual projects. Teachers must ensure that one online registration form is completed for their project. The team must also ensure that all required information is completed for their project. Date and venue of the competition will be communicated to the registered students. Last date for registration is 5th May, 2017. Model or participation of students without prior registration will not be entertained.